identified in the Colorado, Kansas, Wyoming region. Written for geologists, prospectors and rock hounds with some background in mineral and rock identification, the author not only provides information on the physical appearance of raw gemstones, but also describes many diamond, gold, ruby, sapphire, iolite, beryl, and other gemstone deposits giving locations using GPS coordinates and legal descriptions so that the reader can visit the deposits on Google Earth and on topographical maps. The author takes another step in describing areas likely to have undiscovered gemstones based on favorable geology – in other words, a few readers likely will find new gemstone deposits based on the information (some people already have)! 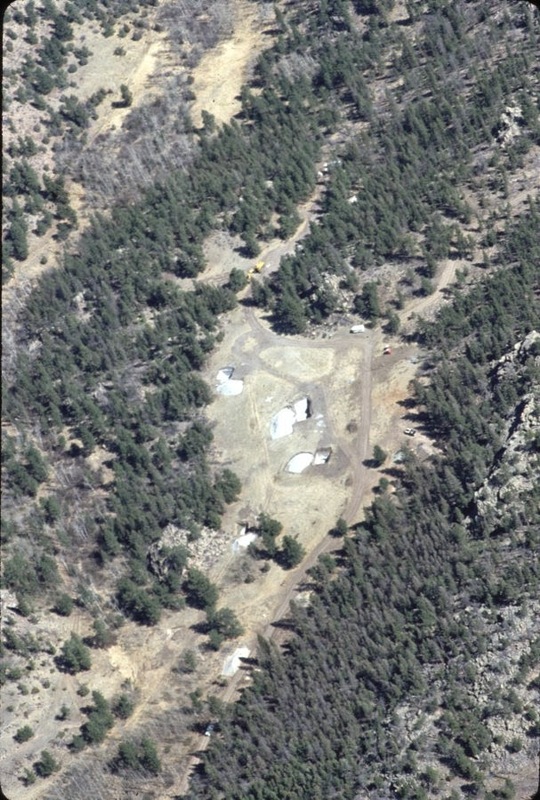 There are many cryptovolcanic structures visible on Google Earth that appear to be similar to kimberlite pipes. This is significant in that kimberlite pipes are known as potential hosts for diamond, garnet, chromian diopside and other gemstones. Nearly all of the cryptovolcanic structures identified by the author, remain unexplored in the field. In another example, the author describes dozens of silicified fractures in an region covering several square miles that likely have quartz, chalcendony, agate, jasper and even opal. These too remain mostly unexplored.